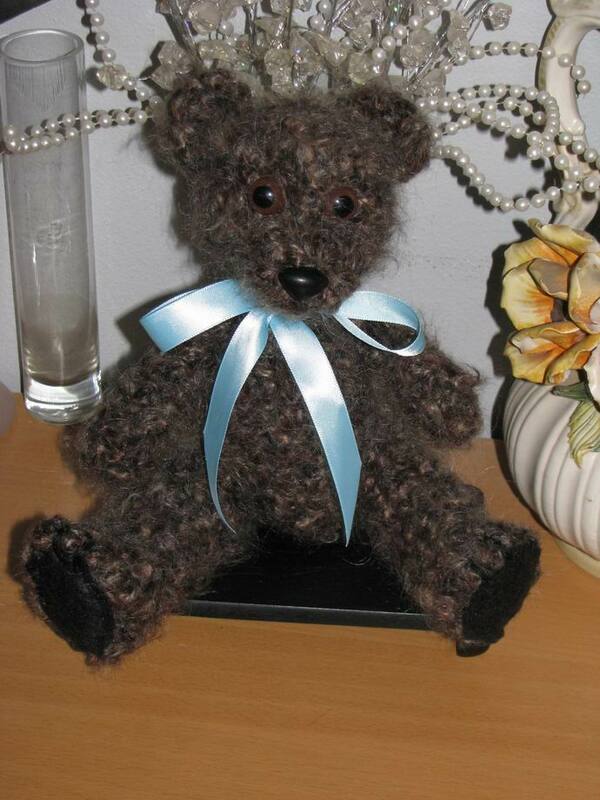 Thread jointed Fuzzy Bear, crocheted with Patons Divine. I bushed him after he was finished to emphasize the fuzzy effect. This yarn is a mohair blend, a little chunky but I like how he turned out. He stands 11 inches tall. He is adorable, awesome work!! He is the best I’ve seen yet on the web. Where did the pattern come from, or did you make it up? I’d love to have a copy if it’s available.